We depart from Oslo, fly over Norefjell, along the magnificent Hallingskarvet and above the Hardangerjøkulen glacier. Vwe’ll make a circuit over Vøringsfossen, Norway’s highest waterfall. These are the most beautiful parts of Norway’s scenery. Just after, the Hardangerfjorden unveils itself below us. The mountain sides plummet more than 1500 meters down into the beautiful fjord with it’s lush surroundings. After 1,5 hours airborne, we land at the Hardangerfjord and dock at the famous Hotel Ullensvang. Here, you will have a couple of hours available for lunch, photography, buy souvenirs or have a drink at tthe hotel terrace. 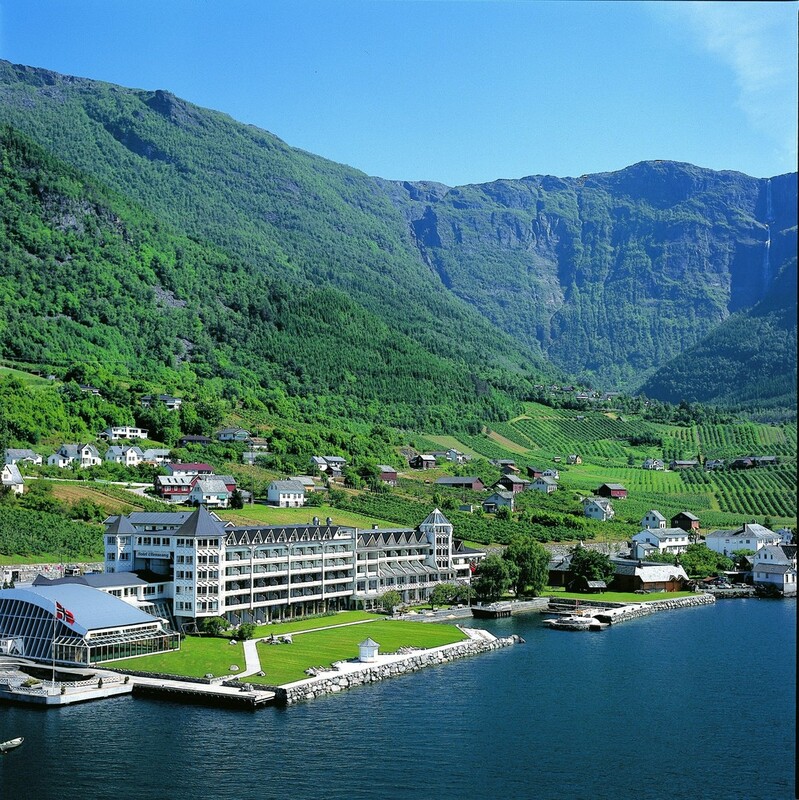 On this trip, you can preorder lunch or dinner at the Hotel Ullensvang for an additional fee. On the return flight, we cross the entire Hardangervidda, Europe’s highest mountain plateau, then on to the Gaustadtoppen summit (1883 meters above sea level). You will also see where the heavy water plant was located at Rukjan. The flight continues back to Oslo. The return flights takes about an hour and a half. All prices include 8% tax. The flight is weather dependent.